Tuscany is one of the most beautiful, diverse and rich regions in Italy. Situated in the Northwest of Central Italy features Tuscany a coastline of about 330 km. 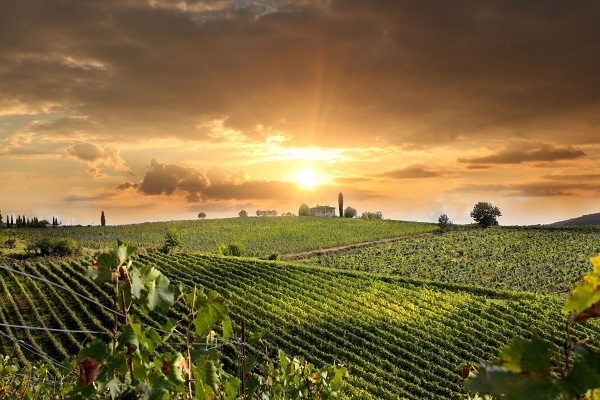 The region of Tuscany is famous for a high culture and fantastic landscape with pine forests, sweet hills, tall cypress trees, mountains and fantastic bays overlooking the Mediterranean sea. In Tuscany visitors can furthermore admire medieval towns, the Renaissance art and wine from the Chianti region. Spanning unmissable sightseeing destinations such as the leaning tower of Pisa, the cathedral of San Gimignano, the renaissance architectural glories of Florence and the elegant squares of Lucca, Tuscany has something to offer for everyone. Southern Tuscany offers a wealth of rural splendours and a range of architectural and archaeological wonders such as the spectacular ancient Etruscan sites dotted around the area. The natural park of the Maremma is a further breathtaking destination for nature lovers. Boasting beautiful rustic agriturismos, (or farmstays), the area can be a perfect place to host a wedding party. Imagine the glory and finery of superbly organised festivities among the olive groves and charming Tuscan countryside. Destination wedding dreams are coming true with a wedding in Tuscany. The great variety of different landscapes are the perfect host for elegant or rustic wedding receptions, garden ceremonies, intimate weddings for just 10 or 300 guests. In Tuscany there are the most charming wedding venues: antique castles, private villas, beautiful palaces or rustic farmhouses as well as modern venues like beach bars or marinas. With dry and hot summers and mild winters is the climate perfect for weddings in Tuscany from April to November. The most popular months for a wedding are May, June and September. The famous Tuscan towns of Florence, Pisa, Lucca, Siena or San Gimignano are en vogue for civil weddings in Tuscany. The countryside around Siena, Florence or Lucca offers the excellent frame for an unforgettable wedding reception and for catholic, protestant, civil or symbolic weddings in Italy. The north of Tuscany with the Garfagnana and Lunigiana features green parks and forests as well as romantic hidden medieval towns. The coast of Northern Tuscany stretches to Viareggio and Forte dei Marmi, popular beach towns, in the west of Tuscany. Famous towns in the north of Tuscany are Lucca, Pisa, Montecatini Terme and Carrara with its mountain quarries of white marble. A destination wedding in Northern Tuscany can be the right option for couples that are on a tight budget, since prices for restaurants and hotels in the Lunigiana and Garfagnana tend to be much cheaper than in Central Tuscany. A wedding in Tuscany’s most picturesque area would undoubtedly mean to celebrate the wedding in central Tuscany. Isolated farmhouses and wine estates surrounded by romantic wine yards, olive groves and cypress trees characterize central Tuscany. Central Tuscany is full of spectacular medieval towns such as Pienza, San Gimignano, Montepulciano or San Gimignano. Renowned for its delicious cuisine a wedding reception in Tuscany features fresh pasta, extra-virgin olive oil, fresh cheese and vegetables. The great Chianti wines will top off unforgettable wedding meals. Please contact us for our fine selection of wedding venues in Tuscany. We are happy to organize and plan your wedding!